Who hasn’t talked to their computer now and then? You may have had an occasional word with your laptop over sluggishness or lost files. However, now with Alexa for Business integrating with Windows 10, your computer will not only be able to talk back but should be able to help with more work-related tasks and with more accuracy than earlier voice-controlled computers. Artificial intelligence (AI) and voice technologies will be used for businesses in more ways than just as virtual assistants. By 2022, 20 percent of workers will use AI to do their jobs, according to Gartner. In 2018, you’ll begin to see more companies using AI’s capabilities of machine learning and natural language processing to boost sales and to create new revenue sources. Expect to eventually see — and hear — AI anywhere work is done or business is conducted. Though AI means much more than voice recognition and natural language processing, it is one of the most common AI technologies people use in their personal lives. Virtual voice assistants and smart technologies like Amazon’s Alexa and iPhone’s Siri are some of the most recognized. But voice technologies like voice control are becoming part of the business world in other ways. Voice recognition software helps employees — everywhere from call centers to medical services — by providing a more streamlined and simplified service experience. These voice solutions can also aid in increasing productivity, reducing costs, and minimizing stress for customers and employees. Voice-controlled digital signage is another way the technology is making its way into retail and other locations where customers gather. The use of this signage as virtual assistants can provide a more consistent customer service experience than their human counterparts. Supporting AI means creating an environment that allows the related audio and visual technologies to work optimally. For example, if you will use voice control — as opposed to touch — in a space, you will want to consider the acoustical and environmental design. 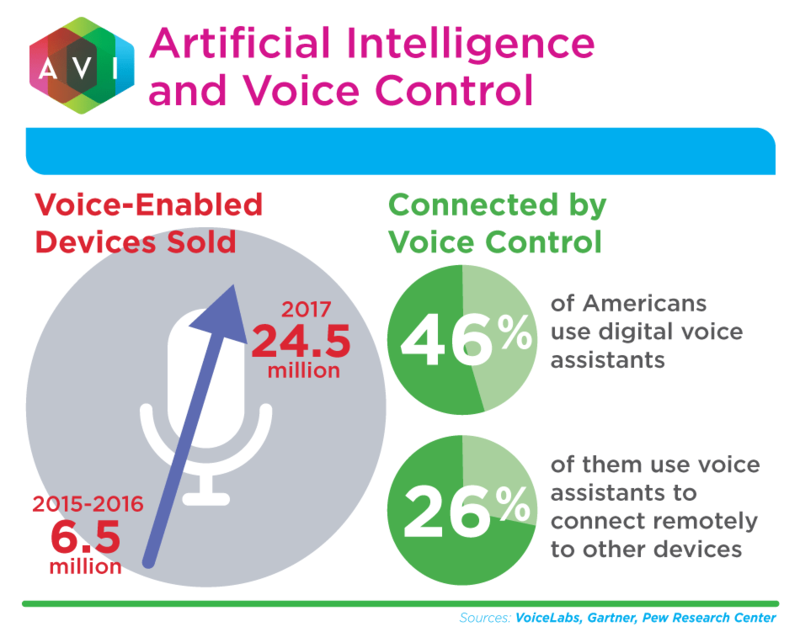 Users have been quicker to adopt some versions of AI over others, but voice recognition and control technologies are already part of everyday life. 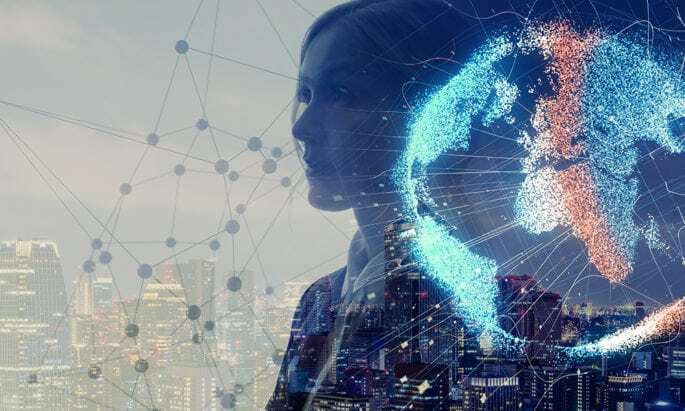 These applications will begin to take up greater space in the business realm, while other forms of AI will ease their way in as well. Despite concerns about AI taking over jobs, Gartner predicts the technology will create more jobs than it replaces. Overall, workers can look forward to job growth and more innovation and capabilities thanks to AI. Check back with future blog posts to read about more 2018 tech trends, including robots, smart buildings, and others. In the meantime, read more about AI technologies here.